Jacqueline Sheridan is a litigation lawyer in Dinsmore's Cincinnati office. 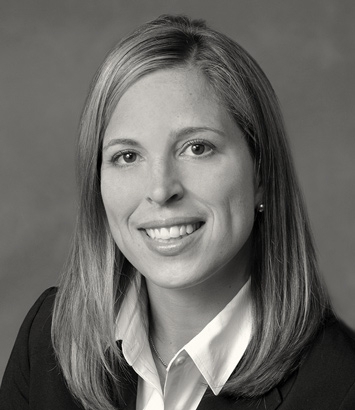 Jacqueline has extensive litigation experience, focusing specifically on pharmaceutical and medical device litigation. She has served as national counsel in handling a wide variety of complex litigation, including mass tort proceedings involving manufacturers and distributors of various pharmaceutical drugs. Jacqueline’s practice also focuses on False Claims Act and qui tam litigation. Her experience includes representing health care entities and defense contractors in government-intervened and non-intervened actions. Additionally, her litigation experience extends into other areas, including commercial and employment matters, and she has handled matters before a variety of state and federal courts. She is an active member in Defense Research Institute (DRI) and, in particular, DRI’s Drug & Medical Device Section, where she serves on the steering committee. Prior to joining Dinsmore, Jacqueline practiced at Ulmer & Berne.